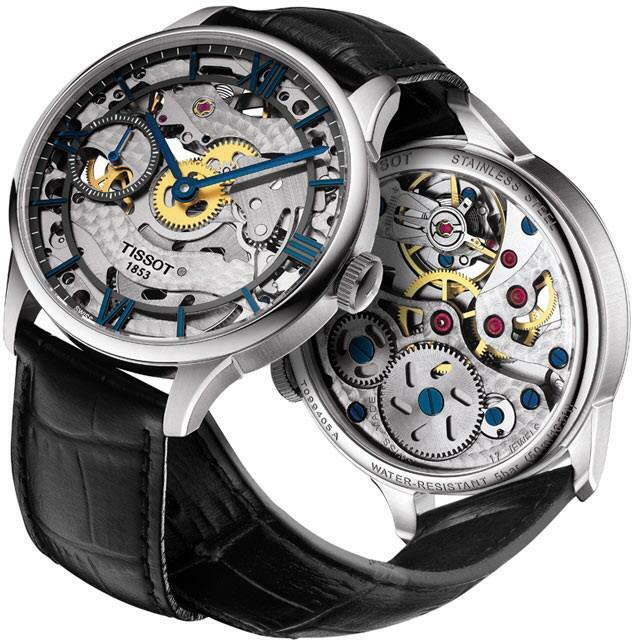 Sitemizde bulunan tüm TISSOT Saat Modelleri 2 yıl garantili olup, tarafınıza orjinal kutusu ve garanti belgesi ile anlaşmalı kargo (YURTİÇİ KARGO) firması tarafından adresinize teslim edilecektir. garanti belgesi ile anlaşmalı kargo firması tarafından adresinize teslim edilecektir. Stainless steel case with a black leather strap. Fixed stainless steel bezel. 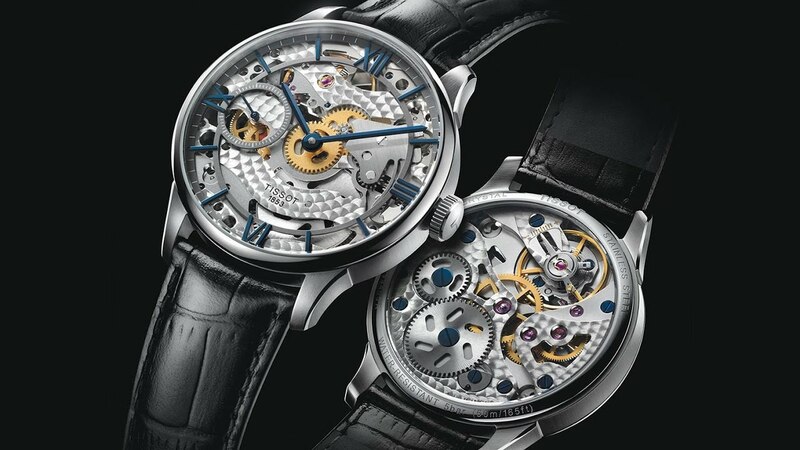 Skeleton dial with blue hands and index hour markers. Roman numerals mark the 3, 6, 9 and 12 o'clock positions. minute markers around the outer rim. Dial Type: Analog. Seconds sub-dial at the 9 o'clock position. ETA 6497-1 hand wind movement with about 46 hours of power reserve. Scratch resistant sapphire crystal. Transparent case back. Case size: 42 mm. Case thickness: 11 mm. Round case shape. Fold over with safety release clasp. Water resistant at 50 meters / 165 feet. Functions: hour, minute, second. Casual watch style. Watch label: Swiss Made. 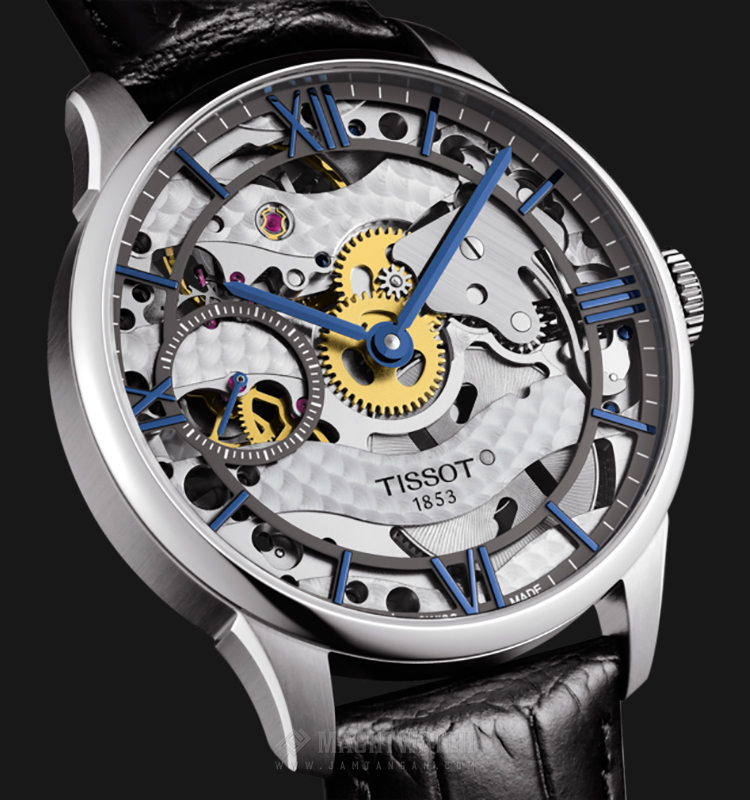 Tissot Chemin Des Tourelles Squelette Skeleton Dial Black Leather Mens Watch T0994051641800.